On St. Patrick’s Day, many people celebrate by attending parties, parades or bar crawls…and, of course, they drink. I am sure many people will never think twice when letting friends or relatives use their vehicle on such occasions. In addition to the regrettable video or photograph posted to Youtube, Facebook or Instagram, this can result in DUI’s, arrests for public intoxication and motor vehicle accidents. When someone asks to use your vehicle, whether it is a holiday or not, you may not even give it a thought before letting them and that could prove costly. Most people probably think as long as the driver has permission to use the vehicle there will be coverage under the vehicle’s insurance policy or the driver’s insurance policy. That is not necessarily the case. Your policy may not provide coverage for permissive use or may only provide limited coverage for permissive use and the driver’s policy may not provide coverage for driving someone else’s vehicle. Therefore, it is extremely important to know what your insurance policy says about permissive use before allowing anyone else to use your vehicle. As you might expect, many (if not all) policies also have what are called “non-permissive use” exclusions allowing insurance companies to deny coverage in situations where the driver did not have permission from the named insured to be using the vehicle at the time of the incident. The primary issues in these cases are: (1) whether or not the driver had express or implied permission; and (2) if so, whether or not the scope of permission was exceeded at the time of the accident. Whether a user of an automobile has the permission necessary to elevate that user to the status of an additional insured depends upon the facts and circumstances of each case in light of the underlying policy language. See e.g. Federal Kemper Ins. Co. v. Neary, (citation omitted). The owner’s permission to use an automobile may either be expressed or implied. Id. “Implied permission may arise from the relationship of the parties or by virtue of a course of conduct in which the parties have mutually acquiesced. Id. (citing Brower v. Employers’ Liability Assurance Co. Ltd., (citation omitted); Esmond v. Liscio, (citation omitted). “However, ‘permission’ requires something more than mere sufferance or tolerance without taking steps to prevent the use of the automobile, and permission cannot be implied from possession and use of the automobile without the knowledge of the named insured.” St. Farm Mut. Ins. Co. v. Judge, (citation omitted); Federal Kemper Ins. Co. v. Neary, (citation omitted)(quoting Blashfield, Automobile Law and Practice, Â§ 315.10 at 608) (emphasis added). Our focus, then, is not directed to the actions of the ultimate user of the auto, but rather, “whether the named insured said or did something that warranted the belief that the ensuing use was with his consent. There must be ‘a connection made’ with the named insured’s own conduct; [mere] proof of ‘acts, circumstances, and facts, such as continued use of the car,’ will be insufficient ‘unless they attach themselves in some way to the acts’ of the named insured.” Id. ; Belas v. Melanovich, 372 A.2d 478, 484 (1977) (quoting Beatty v. Hoff, 114 A.2d 173, 174 (1955))(emphasis added). In cases involving implied permission conduct of the named insured will be critical and it will not be sufficient to imply permission simply from use of the vehicle. In cases involving express permission, it is pretty straightforward when a driver is told not to use the vehicle. The problem arises when a driver is given express permission to use a vehicle for a specific purpose and deviates from that purpose and during the deviation an accident occurs. One other consideration, which could prove to be the central issue in any case involving permissive/non-permissive use is whether or not the use of the vehicle at the time of the accident amounted to a substantial or inconsequential deviation from the permission granted. 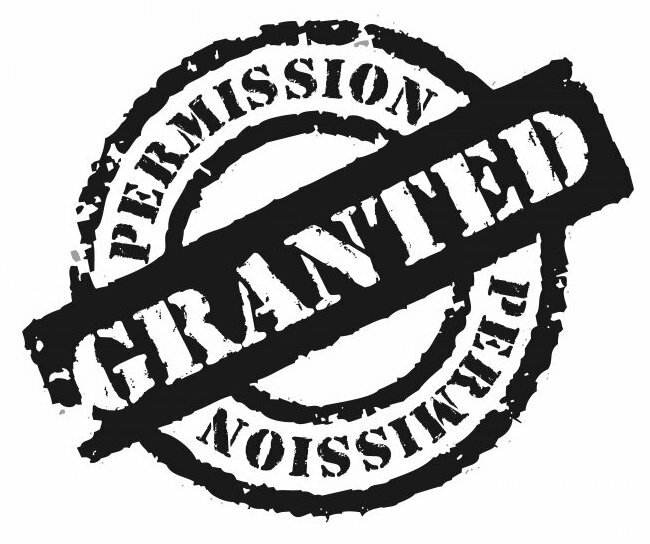 In permissive use cases you have to determine whether the permission was limited or unlimited and, if limited, whether it was substantially exceeded. Freshkorn v. Marietta, 29 A.2d 15 (1942). Slight and inconsequential deviations will not annul coverage. Id. The case I found discussing deviation from permission was General Accident Ins. Co. v. Margerum, 544 A.2d 512 (Sup. Ct. 1988). In General Accident, an employer allowed one of his employees to use a company van under certain restrictions: 1) The van was to be used solely for commuting between home and work; 2) Margerum was not permitted to drink and drive; and 3) the van was not to be used for personal reasons. Margerum asked for permission to drive the van to a wedding. Permission was granted so long as he did not drive it to the wedding and, once again, so long as he did not drink and drive. After the wedding, Margerum drove the van home and got a ride to and from the reception where he drank alcohol. After he returned home, he packed his work clothes and set off for his fianceeâ€™s residence from where he intended to leave for work the following morning. While driving to his fiancée’s residence he struck and killed a pedestrian. The Superior Court held that the trial court erred in concluding there was no substantial deviation from the insured’s permission when the driver violated an express specific restriction on the use of the van (drinking and driving). As indicated above, before you consider allowing someone not named as an insured on your insurance policy to use your vehicle check the language of your policy so you the whether or not coverage will be provided for permissive use. Complying with the provisions of your insurance policy will always keep you insurable and help to prevent an increase in your insurance premiums. Assuming there is language providing for coverage in situations of permissive use, you will want to expressly provide permission leaving no doubt as to the purpose for which the vehicle is to be used (i.e. go to the store, get milk, come right back and do not make any other stops). You do not want to put your personal assets at risk because you were careless in giving permission to use your vehicle without limitation.